GRATERFORD–Enduring beyond blustery condition at the beautiful facilities at Perkiomen Valley High School, Unionville claimed three of four matches before defaulting in the second doubles match which was tied at one apiece at the time. 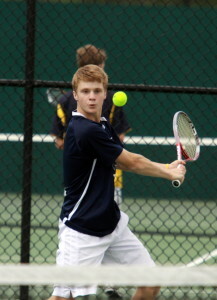 Michael Furr made quick work of Mike Stanley in first singles winning his match 6-1, 6-2 to set the tone early on. 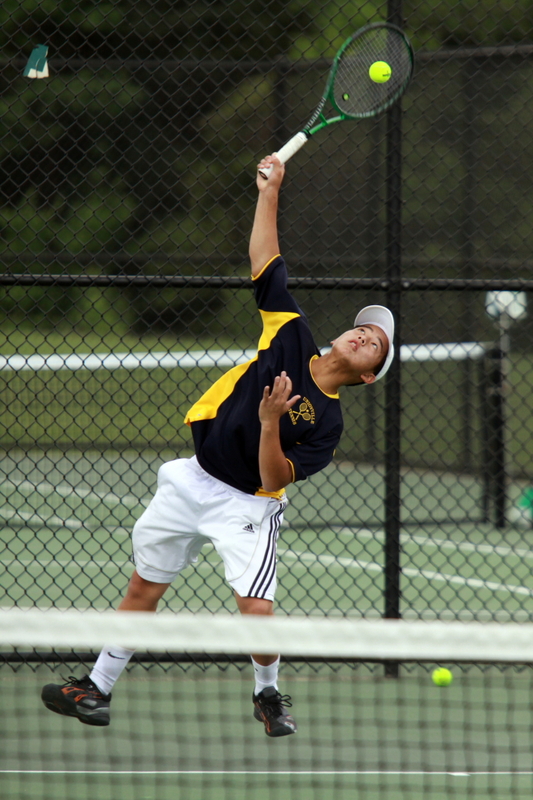 Unionville will face off against Conestoga , a 3-2 winner over Pennsbury for the District One title at approximately 4:15 pm at Perk Valley. 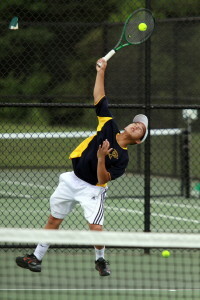 Check back at UnionvilleTimes.com for complete story, stats and player’ s commentary from the semi final and championship match.